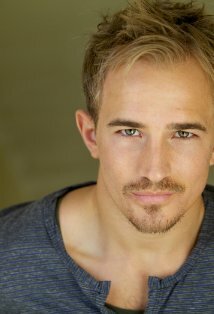 Jesse Johnson has built an impressive bi-lingual acting resume since he began working professionally. Among his stand-out performances is John Wilkes Booth in the well-received National Geographic Channel movie "Killing Lincoln," narrated by Tom Hanks, and the terrifically reviewed independent film "Chapman" alongside Christopher Masterson. Prior, Jesse was part of the cast of "¿Para qué sirve un oso? ", co-starring Javier Cámara (Pedro Almodóvar’s Hable con ella), Gonzalo de Castro (2009 Ondas Prize for Best Actor), Geraldine Chaplin and her daughter Oona. Johnson shot the entirely Spanish production over the course of 2 months and later returned to Spain to be part of the "Con el culo al aire" TV Series. Jesse has starred in the movie "The Back-up Bride," a romantic comedy set in Texas as well as the Paramount Digital Entertainment production of "Circle of 8." The Mountain Dew sponsored webisodes were ground breaking, airing over a series of weeks, resulting in a noticeable spike in return visits for the site. Born in to a family of actors, Johnson is the son of actors Don Johnson and Patti D’Arbanville. A native of Aspen, Colorado, Jesse has been steadily working since deciding to make his mark in the profession after graduating college in California. Johnson’s further credits include a starring role in the George Miller (The Man from Snowy River) directed Prey, a supernatural thriller shot over two plus months on location in Melbourne, Australia, the lead in the drama, My Life: Untitled, the major motion picture Redline and the short films "The Beach Chronicles AGX" and "Descubriendo a Mosén Bruno." His television appearances include "Law & Order LA", "Grey's Anatomy, "Nash Bridges," and a role in the 2003 TNT Award Winning original drama "Word of Honor."